Size 8 Metallic Frosted Antique Silver Demi Round Toho Japanese Seed Beads, 8grams, 2-1/2 inch tube. 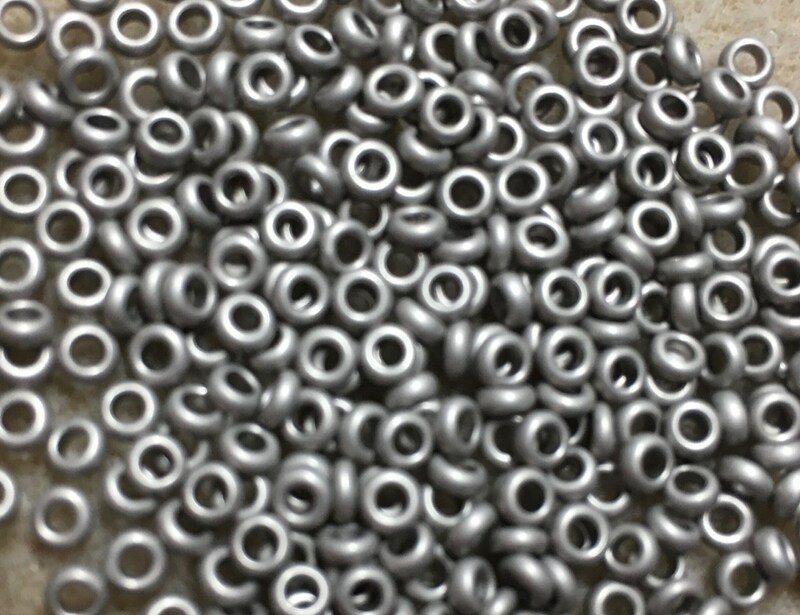 8/0 Demi Round seed beads have same hole size and diameter of regular round Toho seed beads, but are almost 50% thinner. Size of bead is 1.15mm x 3mm. Large 1mm hole size accommodates several passes of thread, making them perfect for detailed bead weaving designs.